The weather this spring has been wet, cool, and generally disappointing. Rich can barely get the grass cut, let alone get out for any recreational activities! But on this fourth day of my long weekend, we decided we had to get away just for a little while. 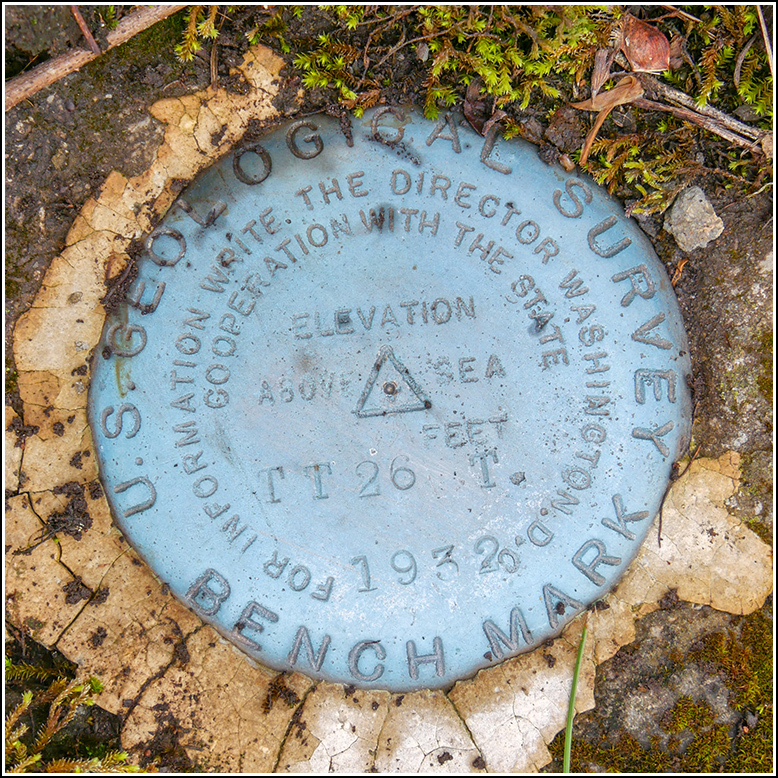 Our plan was to drive a route close to home and scout out some USGS benchmarks that I had seen on the topo map. For some reason we had never searched for any of these marks before! The first mark we attempted, TT 33 T, was closest to home. We had spotted some very auspicious boulders and outcrops while doing our research on Google Street View, but in person the site looked quite different. Everything is lush and overgrown since it’s May and has been very wet lately. Also invisible on the Street View was the steep ravine and small creek that we would likely have to cross to search for the mark. This little patch of woods is undeveloped and the mark is very likely still in place, but we’ll need to come back in early winter or early spring (whenever the vegetation is down and the area is snow-free) to be able to search the site. It is likely that the reference mark, a chiseled square, is on one of the large boulders we identified. We moved on to 35 ETL. The surrounding area still closely resembles the description, and there’s a very good chance the mark is still in place. There is even still a utility pole in the proper location, although it now has a different number. The grass in the field was very high today, and we couldn’t spot a boulder (it probably doesn’t project much, if at all, above the surface of the ground), so in the interest of avoiding ticks we decided to come back and search in the winter. I’m kicking myself that I didn’t realize that the reference mark is a PDH disk on a nearby bridge! We will definitely have to look for that disk soon. The third mark we attempted—TT 26 T—was the only one we actually found today. The satellite imagery looked promising—we could actually see what looked like a small boulder in the field near the coordinates. But when you get to the site, things often look very different. When we drove to the intersection, I could see a small boulder or outcrop in the field. Braving the medium-high grass (ticks, don’t forget!) I walked to the boulder and found the disk set into its lower shelf. 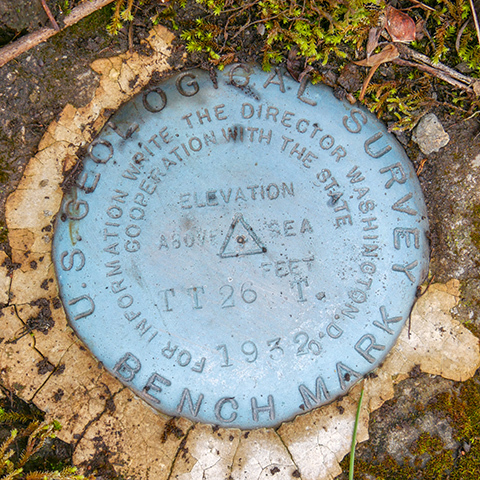 When I was done documenting the mark, Rich suggested that I walk up the road and see if I could find the catch basin that held the reference mark. Usually these old stone catch basins have been replaced or are so overgrown that we can’t even locate them. But in this case we found it easily. 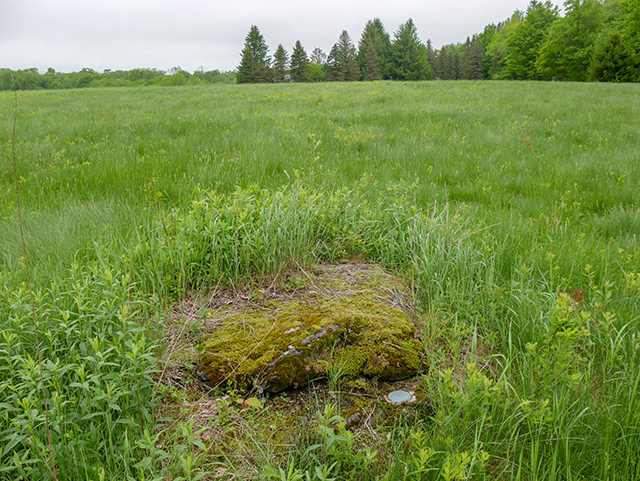 It’s still in good condition, but the top and sides are covered with soil and overgrowth. I didn’t see a chiseled square on any of the exposed surfaces, and I wasn’t able to clear off the top to check it thoroughly. Of the seven bench marks we scouted today, the next one—34 ETL—is the only one we strongly suspect is gone. 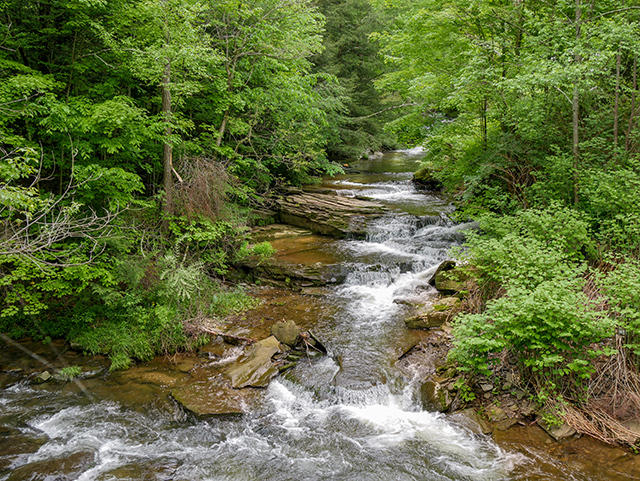 There is a small stream at the site that flows beneath the road through a culvert, but there are no concrete retaining walls to be found (the culvert walls are stone). There are no longer gasoline pumps at the site across the street, which is now the Dundaff Country Store. It’s obvious where they once were, but no foundations remain, so the reference mark is probably long gone. 30 ETL was another benchmark that we labeled as “probably still there, among the high grass”! The grass in the yard is tall and messy, and it was hard to tell if anyone even lives on the property anymore. The boulder is flush with the ground, according to the description, so it was no surprise that we couldn’t spot it from the edge of the yard. We’ll try again in winter or if the grass is cut at some point. 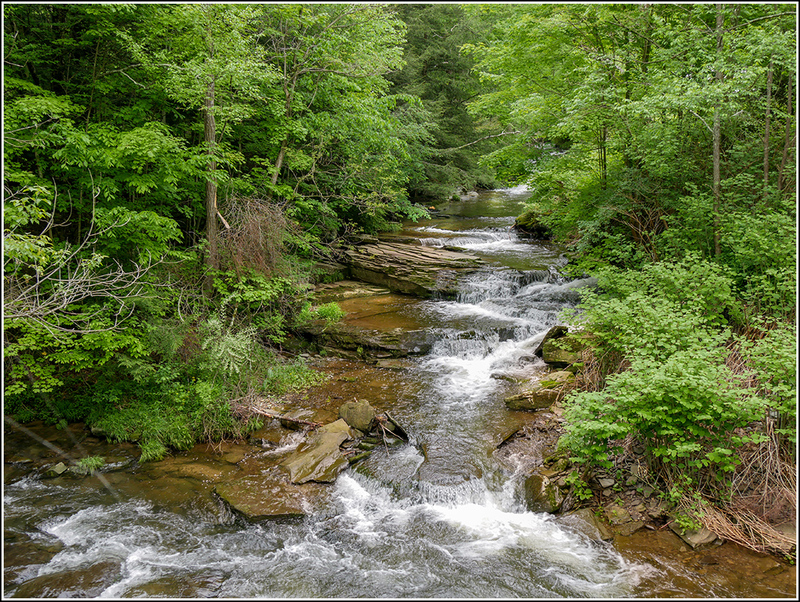 We went a bit further along the road to turn around, and we came across a pretty spectacular waterfall along Tinker Creek! Our second-to-last mark for the day, TT STA NO 77 TH, eluded us, but only because of a wire fence that made it clear we were not to trespass in the pasture. This was such a cool spot! 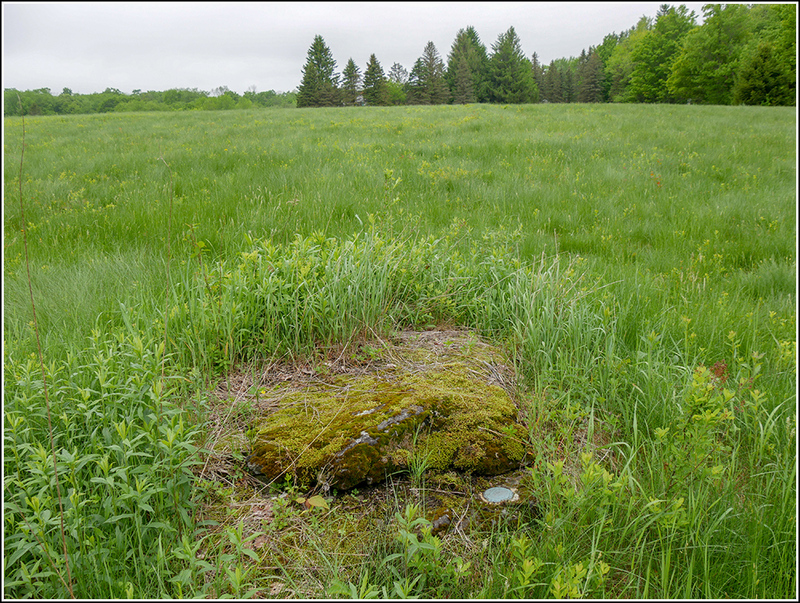 The corner of the pasture is dotted with many boulders and rock outcrops, most of which would be perfect for a bench mark. And the grass was low because livestock apparently graze here. But without permission, we didn’t feel comfortable crossing the fence. The land appears to belong to the farm to the southwest, along Route 2023. But no one was around to ask. We will definitely be coming back for TT STA NO 77 TH! Our last mark for the day, TT 76 TH, was yet another mark that is likely still in place, but due to the high grass we didn’t attempt it today. We couldn’t see the rock outcrop so it is probably low or flush with the ground. The day turned out partly sunny and began to warm into the 70s by the time we were ready for lunch. 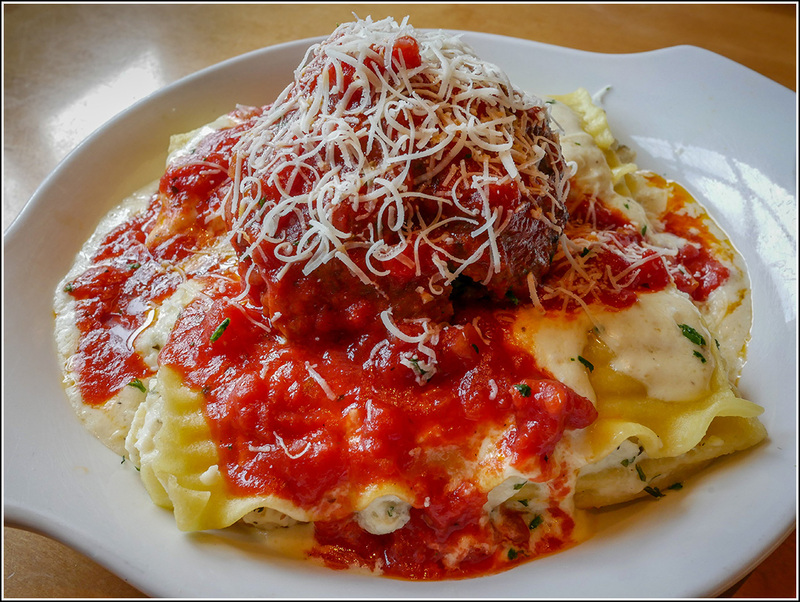 I surprised Rich by suggesting that we go to the local Olive Garden to try the GIANT MEATBALL and manicotti that Rich has been drooling over on the recent commercials! 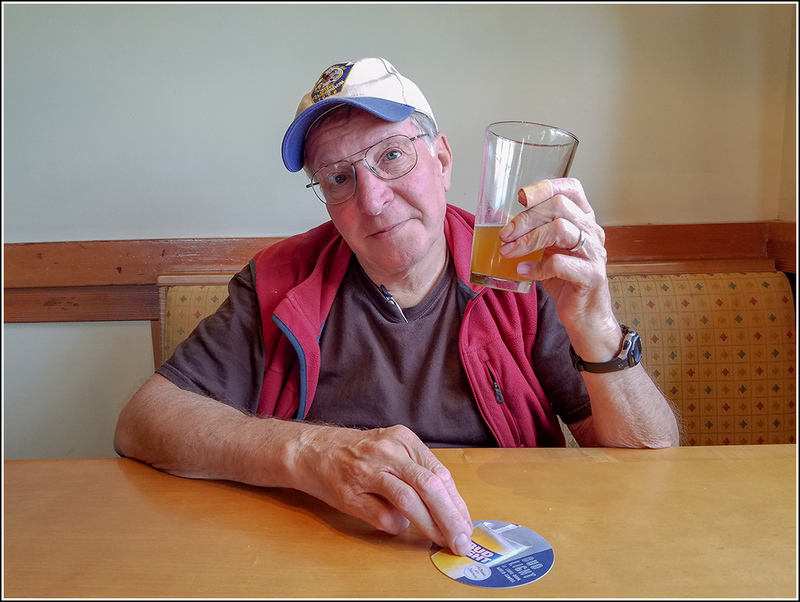 Rich raises a glass to benchmark hunters! 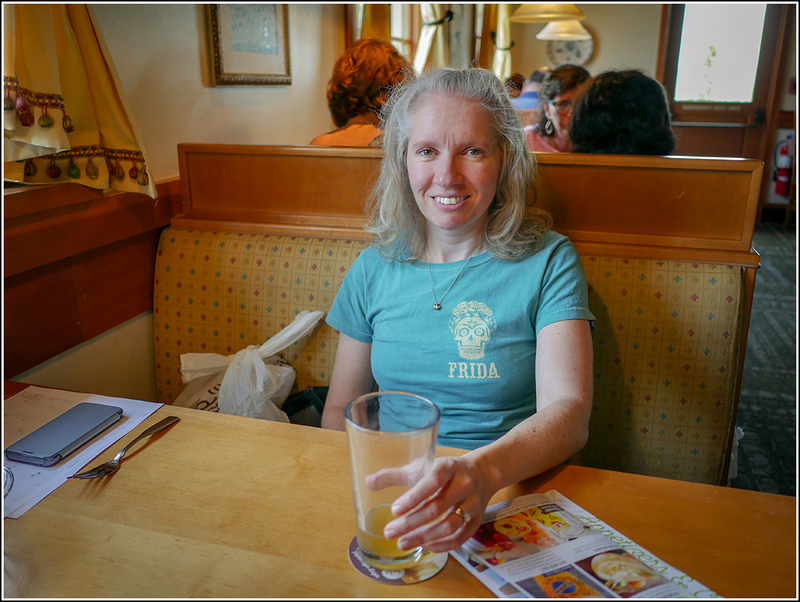 It was a typical Olive Garden lunch, nothing super-spectacular about the food, but very tasty and fun. The meatball was indeed GIANT and it fed us for two days. 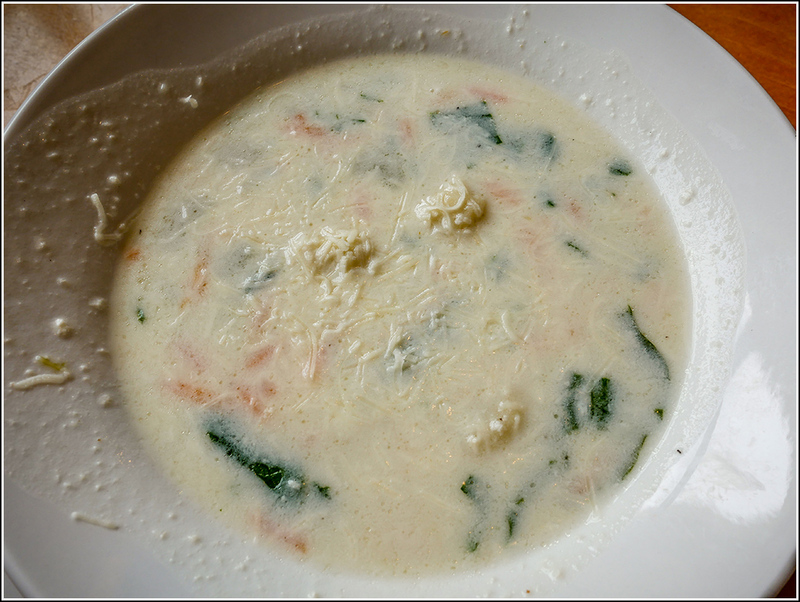 The manicotti had a nice texture and the perfect amount of cheese, but could have used more sauce. 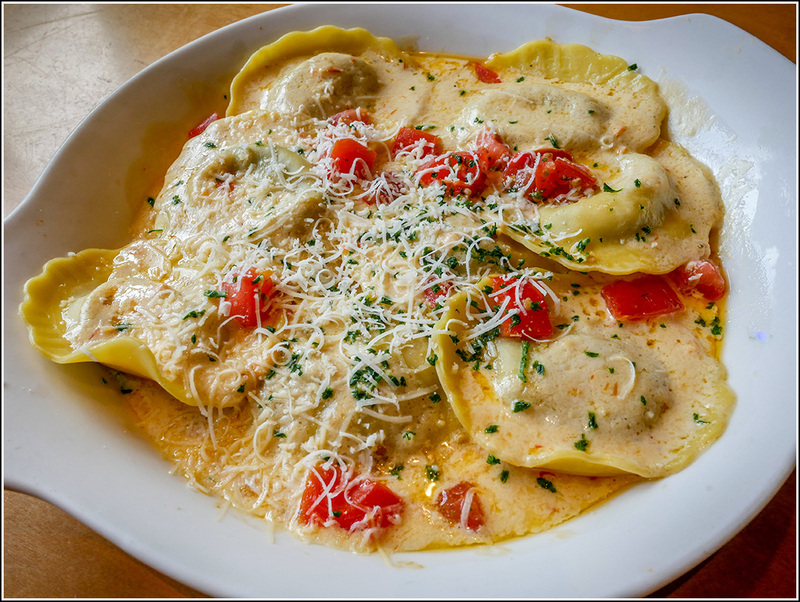 I do find the portobello mushroom ravioli to be delicious, so I ordered them again. Rich and I both had a Blue Moon to celebrate our moderately successful benchmark-scouting mission!